Hi everyone! Ever get tired of running around a nether fort like a jackass, never finding any skeletons let alone skulls? Well In this guide I'll try my best to teach you how to build a wither skeleton farm that requires minimal effort once it's done! can AFK safely and wait for the skeletons to come to you. So let's start at the beginning, what do we need for a small farm? To make the farm bigger just multiply all the above items, I would recommend at least 4x as much of each item. These do not need to be multiplied for bigger farms, but more stone is always good. What's listed now is the absolute minimum you need! Easiest step by far, is finding a spot to build. Wither skeletons only spawn in nether forts, so the only place to build would be in one. Try and find a big corridor (especially a with a 4 way intersection!) 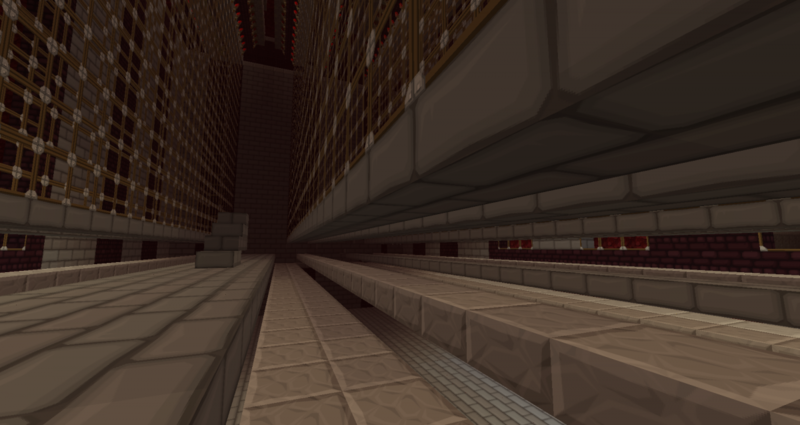 in the fort at least 80 blocks above the bottom of the nether, then start mining out every block. You will want an area of 25 long, 12 wide and 12 high for a small farm. Once all that's done and you have everything on the shopping list, it's time to proceed to step 3. 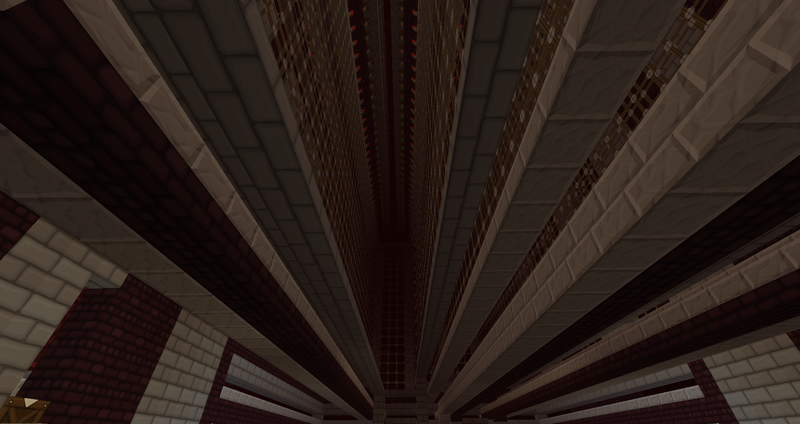 Take some of the stone and make 200 pressure plates, 200 half slabs, and keep another 200 stone separate. See also the below picture if this doesn't make any sense. Now replicate this 25 times next to each other in a line. Next, build another row of 25 next to the one you just built like this. After that, build two more above the ones you already have. They should line up, refer to the first 3 pictures if I'm being vague. Eventually you should have 2 floors and 2 rows of stick pistons with pressure plates and enough room for Wither skeletons to spawn! This is pretty simple, but you can make it as elaborate as you want. Just make a simple bucket shaped reception area beneath the spawner / pusher part. This should capture all mobs that get pushed in. Once you have built that, build a wall of glass around the reception area. 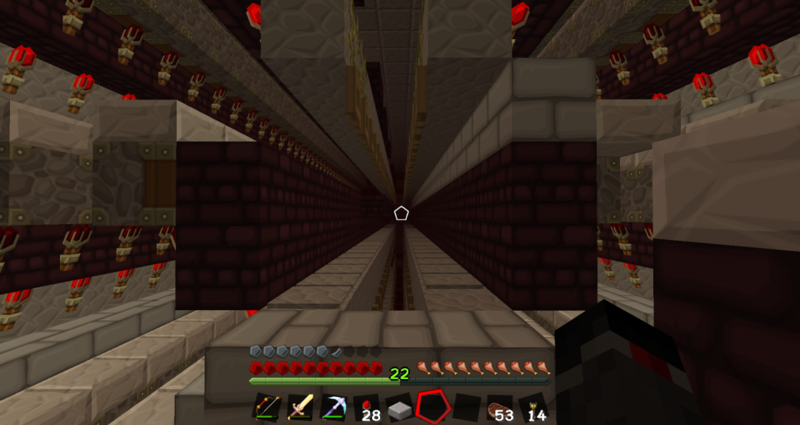 This should prevent ghasts from seeing you and making your life hell. Attached picture number 4 is an elaborate area as described above. 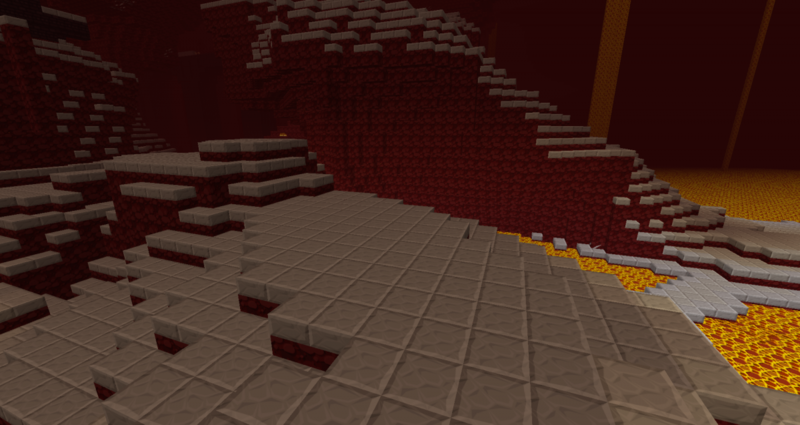 The picture includes a drop to damage mobs and safe gathering spots. Okay, you remember the 25000 cobblestone I asked you to get? Well, you have already used some of it, and now we're going to put the rest to good use. Use all the stone to make half slabs. To save chest space, I suggest doing it in batches. Place a half slab on every surface area in a 100 block radius. Why are we doing this? 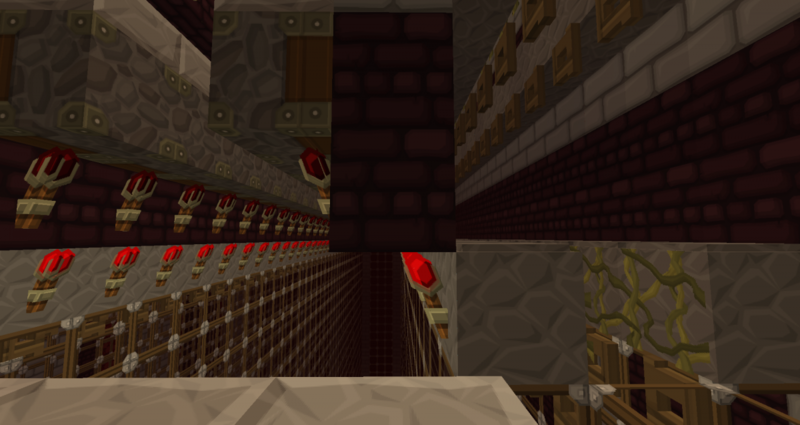 Half slabs prevent anything from spawning on them. 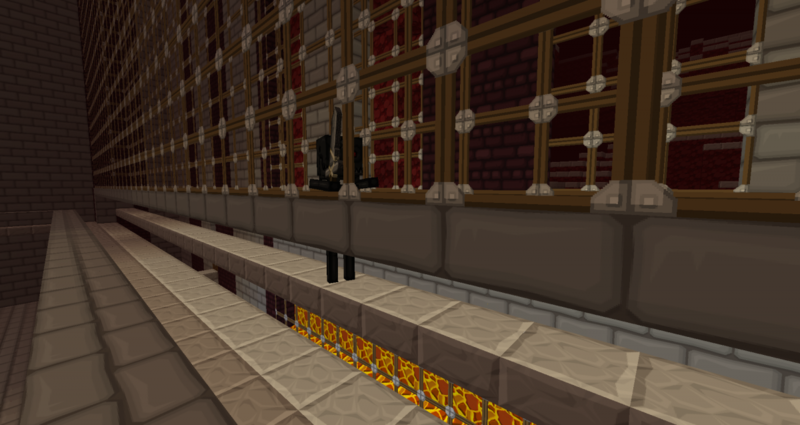 So if every surface except the ones in your infernal machine is a half slab... you'll be forcing mobs to spawn in there. 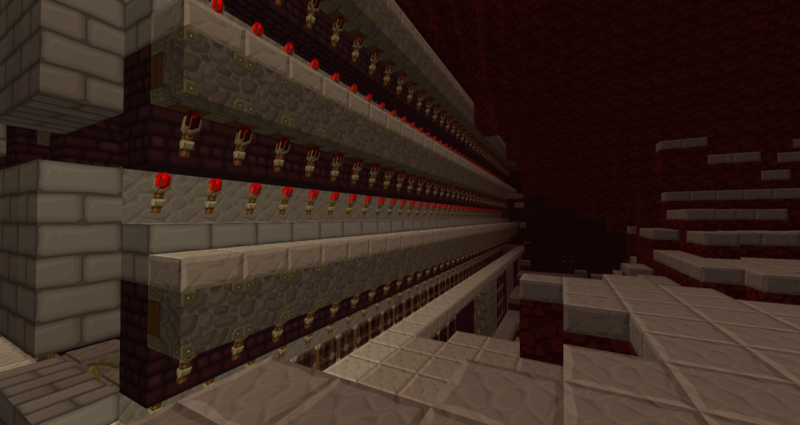 Once all of this is done you should have a functioning wither skeleton farm! Special credits go to AceAAA because he built most of the farm in the picture! All of the pictures and building took place on pure.BetterInGame.com on hard-mode survival.